Chris Correa, the former scouting director for the St. Louis Cardinals was sentenced to prison for 4 years for hacking the Houston Astros computer system in order to gain access to players information and pending trade talks. Correa plead guilty and is seemingly the only one who will be disciplined but there’s still talk of Major League Baseball fining or taking a draft pick away from the Cardinals down the road if they discover any other collaborations. The World Anti-doping agency accused Russia of authorizing doping of its athletes on a massive scale. 20 sports were included in the report and many are insisting all Russian athletes be excluded from the Olympic games. It seems unlikely there will be a blanket ban on all sports but certain athletes and teams will be under intense scrutiny. Die hard sports fans take the love of their team to great lengths and doing anything that seemingly disrespects their team can be problematic. 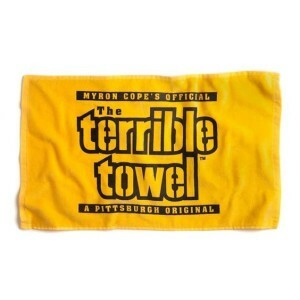 So when Speaker of the House Paul Ryan (and devoted Green Bay Packer fan) innocently waved a “terrible towel”, an important symbol to Pittsburgh Steeler fans in front of the Pennsylvania delegates at the Republican Convention, he took a calculated risk of offending his Packers. He did predict a Packers/Steelers Super Bowl, however, so it appears he appeased any Packer whom he may have offended.